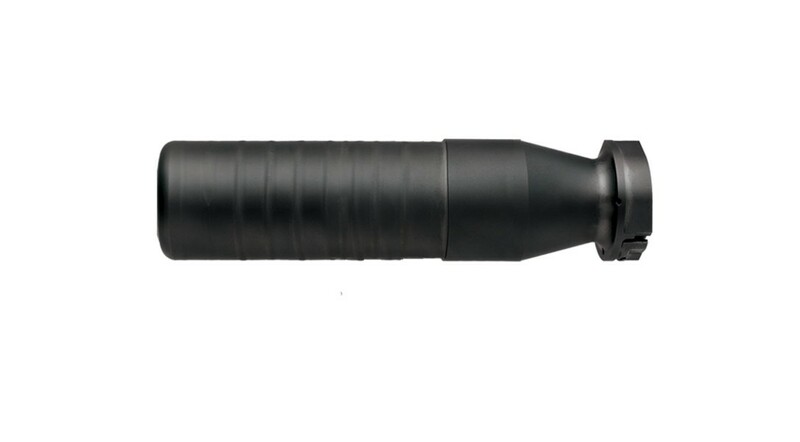 The SRD556-QD is an Inconel 718 suppressor using fast-attach muzzle devices to mount the suppressor to the rifle. Inconel 718, a nickel alloy stainless steel, provides the highest level of durability, particularly with short-barreled hosts using supersonic ammunition. This 5.56mm suppressor comes with a muzzle brake threaded in 1/2″x28tpi to match the vast majority of modern rifles in .223/5.56 on the market today. The rear mount has wrench flats to torque the suppressor to the muzzle device. There is a secondary retention latch that is depressed to remove the suppressor from the fast-attach mount. Accessory muzzle devices and other thread pitches are available.